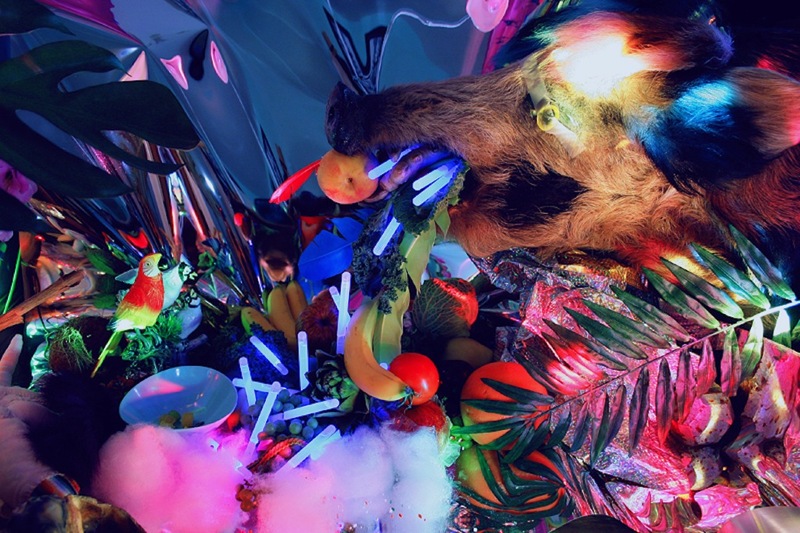 Another trippy dinner designed by Thu Tran and Christopher Duffy. Thanksgiving Deux is the magical sequel to the most important dinner of the year. 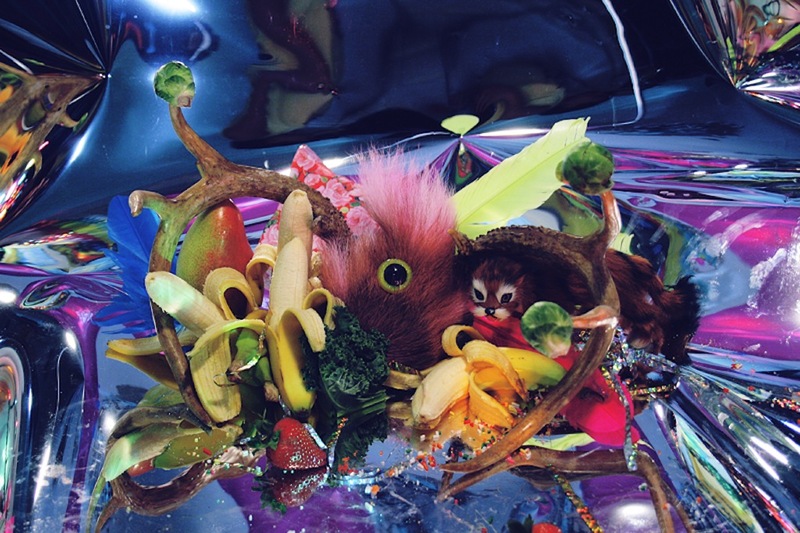 New totally edible sculpture/video installation for one night only. Come and physically taste some our new barf-inducing psychedelic digital imagery. Other project rooms are also on view including BABYHARVESTER, Serra Victoria Bothwell Fels' Crystal Cavern and the Gamelatron. Thu Tran is five feet tall and loves food. The inspiration for her work comes from many different sources, including, but not limited to, sandwich wrappers, manga, sanrio, and the infinite rainbow that is Vietnam. Thu currently refers to herself as a "mixed media artist." Her collaborator for the Clocktower project is sculptor Christopher Duffy. Thu Tran is an artist originally from Cleveland and based in New York. She studied Glass at the Cleveland Institute of Art and has been blowing glass for 12 years, currently for Michiko Sakano Glass. She has made installations for The Clocktower Gallery, Bemis Center, SPACES Cleveland, and Art Farm Nebraska. She has collaborated with Babycastles on video game installations and arcade cabinet workshops. She has also collaborated with Polycode creator, Ivan Safrin on a kinect video game about Cleveland for Case Western Reserve University. She is the creator and host of psychedelic cooking shows Food Party for IFC and Late Night Munchies for MTV.